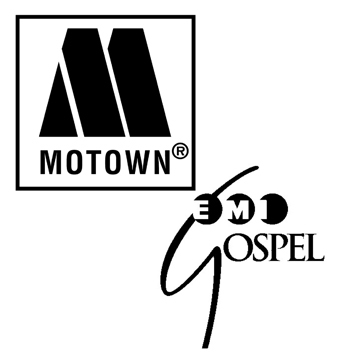 Motown Records takes a giant step into the ever-expanding Gospel music field as the result of a joint venture partnership with EMI Gos­pel, creating a new label Mo­town Gospel. The announcement was made by Barry Weiss, Chairman & CEO, UMG East Coast Label Group and Bill Hearn, President & CEO, Capitol Christian Music Group. Motown Gospel was officially launched tonight, with a gala press reception and artist showcase at the Arc Theatre in Los Angeles. The evening featured performances by Gospel best sellers Smokie Norful, Tasha Cobbs, Tye Tribbett, and Kierra Sheard. In addition to the artists who performed at the showcase, the Motown Gospel roster includes multiple Stellar Award winning artists VaShawn Mitchell, Pastor Charles Jenkins and Fellowship Chicago and Grammy nominee Anita Wilson, among others. The structure of Motown Gospel will include Ken Pennell and the executive leadership of EMI Gospel, based in Nashville, coupled with new hires, particularly in the A&R areas. As such, the first appointment of Motown Gospel is VP of A&R, songwriter and producer extraordinaire Aaron Lindsey. Mr. Lindsey, one of the most respected talents in gospel music today, has four Grammy awards and multiple Stellar and Dove awards. His songwriting credits include “Again I Say Rejoice,” “My Testimony” and “He Saw the Best in Me” and he has produced such bestselling artists as Israel Houghton, Byron Cage, and Marvin Sapp’s “Never Would Have Made It” from the platinum-selling album Thirsty. Platinum seller and multi-Grammy winning CeCe Winans has also announced her intention to be the first new signing to the Motown Gospel label. The Gospel superstar’s first all new recording in more than five years is planned for an early 2014 release. Motown Gospel’s strong 2013 release schedule was also showcased at the event with Tasha Cobbs performing her hit single “Break Every Chain” from her current Top 5 charting album Grace. Tye Tribbett introduced his new album and label debut, Greater Than which is set for June 4 release and performed his first single “If He Did It Before Same God” which debuted Top 20 on the Billboard Hot Gospel Songs Chart in March. Kierra Sheard also debuted her new Rodney Jerkins produced song “Trumpets Blow” which will lead her new Karew Records release later this summer. And Gold selling, Grammy winning Smokie Norful debuted songs from his long awaited new album set for fall 2013 release.